How does Turnbull stack up as a property investor? Malcolm Turnbull is far and away the richest Prime Minister Australia has ever had. It’s quite a shift I think. It holds out the promise of a different style of leadership. There’s a shift in thinking that happens when you’ve got your own money. I’m not Turnbull rich, but I do all right for myself. And I’ve seen a lot of students set themselves up to really know what financial freedom is. And with an independent financial position comes an independent mindset. Who is Turnbull really beholden too? 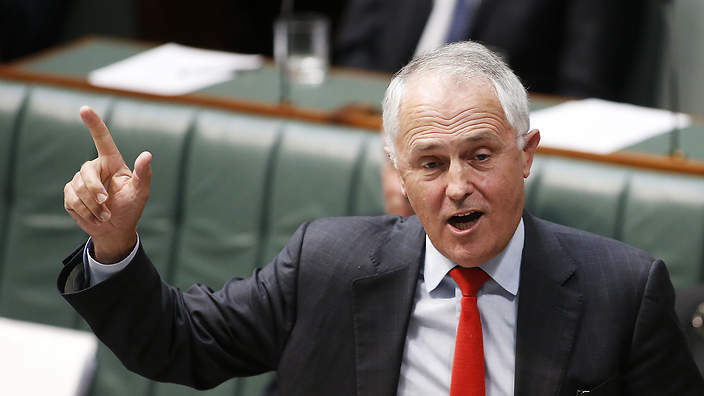 Malcolm came to politics after he’d made his fortune. After he had built and cemented an independent mindset. Turnbull will understand money politics, and probably work it like a boss, but once you have that independent mindset, it’s hard to let go of. I’m not sure I can really describe the shift that happens. I truly hope you get to experience it for yourself one day – what it’s like to really be your own master. You are free, and the whole world is yours to enjoy. The other thing I’ve noticed is that as people become wealthier, they naturally tend to expand their circles of concern. Once they have themselves sorted, they turn to sorting out mum and dad, looking after their sister who’s hit rough times, buying a house for their brother who lost everything in a fire. After that comes their community, then the nation, then the world. It gives me a wonderfully warm feeling in my tummy when I think about how much good the I Love Real Estate community has done for the world through various charities and philanthropic endeavours. I’m honoured that I could be part of the wealth stories that facilitated those acts of love and generosity. We have this archetype in our society of the rich old curmudgeon who can never get enough money. The Scrooge who chases away Christmas Carollers with his stick. From that we get the idea that wealth makes you selfish – that it makes you a poor global citizen. But I can honestly say that that hasn’t been my experience. I’m not going to speak for myself – I can’t pretend to have an objective opinion about that. But I’ve seen students of mine make this journey time and time again. And almost to a rule they are using their wealth to make the world a better place. And I think it’s just human nature. Once we have ourselves sorted, we just naturally turn our minds to helping those around us. Anyway, the hope here is that an independently minded PM who is rich enough to be generous might actually be a blessing. Whether he will or not is another matter. I’ve got no idea. I don’t know the guy and I don’t study politics too closely. We’ll see. One thing I do know though is that he seems to be a pretty savvy property investor. He started out back when he was a student at Sydney University, buying a worker’s semi in Newtown for $17,000 in 1978. He sold it for $68,000 in 1981 – seeing it quadruple in value in just three years. He also bought a terrace in Redfern for $40,000 in 1979, and sold it three years later for $82,000. It’s likely that this was all his father’s money at this stage, but it looks like Daddy would have been happy. After that it was all mansions and some patchy commercial ventures. For a while he was known as the “property prophet of Paddington” after he sold Alster House for a then suburb record of $2 million in 1988. The play I love though is his current Point Piper residence. He bought it for $5.4m in 1994. The Turnbulls then bought the property next door for $7.1m in 1999, and carved off 600 square metres of waterfront title to add to their own home. The now smaller property next door was developed into a duplex and sold off in 2011 for $13.6m. With the extra water-frontage, their home is now estimated to be worth north of $40m! That’s a nice manufactured growth play right there! But the thing I really want to know is what vehicles do the Turnbulls use to own their investment properties. This isn’t easy to find out. If you google “Turnbull” and “Trust” all you get are news stories about the way he knifed Tony Abbott. But I did read that their New York apartment is controlled by a holding company, Century Turnbull LLC. So it definitely wouldn’t surprise me if they’re a bit savvy about what is exactly held in their name. Anyway, I don’t think this property experience will change the way he PMs. But still, as a property investor, it’s nice to know you’re in good company isn’t it? Does Malcolm’s investment experience make him a great Prime Minister for property investors and the country in general? Are you more confident with him in charge?